On the Google Earth you immediately notice the difference between the turbid Markermeer and the clear IJsselmeer. 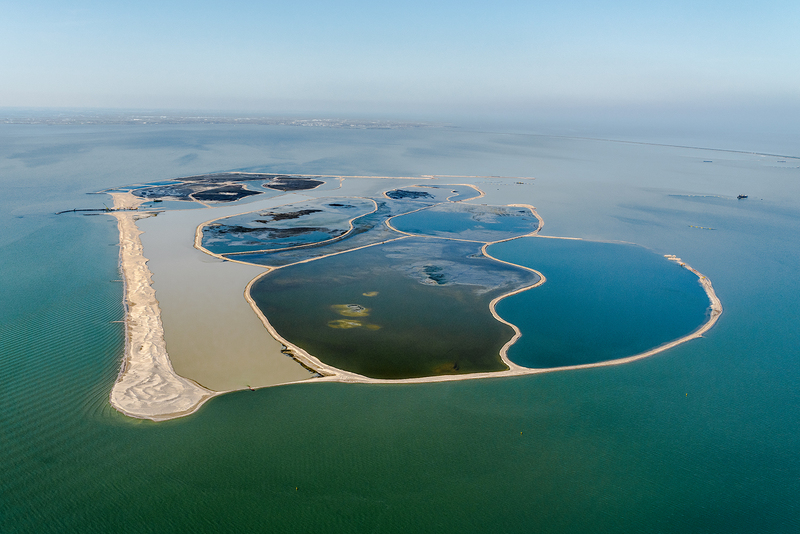 The concept of Marker Wadden will change that by achieving a unique dual-purpose: tackling the silt problem and then, by taking use of the silt, to create marshlands and shallow water. Result: a unique wetland and bird paradise. 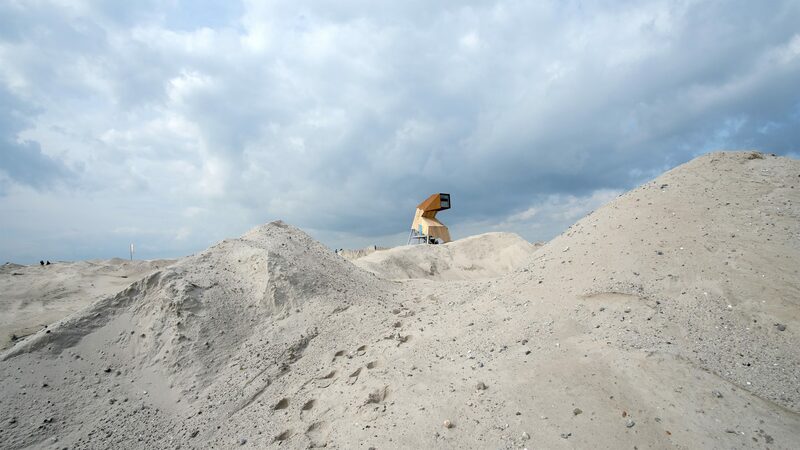 It allows us to create a future for the Markermeer with clearer water and valuable nature. At the same time, it gives the Netherlands a hydraulic engineering innovation, never shown before in the world. 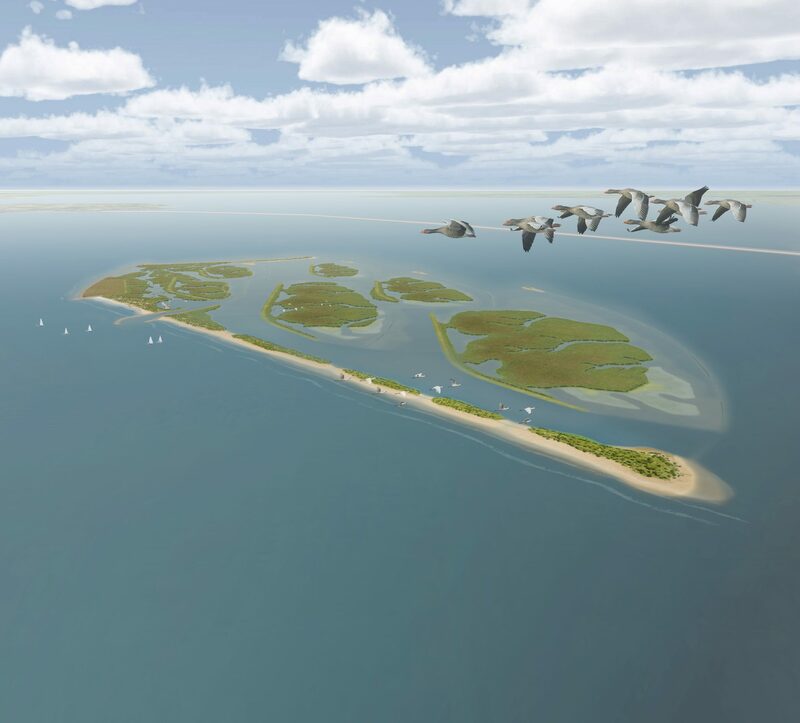 Building a bird paradise in the Markermeer is possible only if we build at very low costs. We dredge holocene material and bring it up above the water level within sand dams and let it be consolidated in phases. By mixing holocene material and water, the volume of the land increases on balance. We see this as a very economical manner of land reclamation for new nature. We have stated birds as our central consideration. Birds take a central position in the ecosystem and stimulate the nature to get going. We associate the term of Marker Wadden with the Wadden Sea, the number 1 of the Dutch nature. On the Wadden Islands, sandy beaches and dunes on the southwestern and northwestern sides protect the land from the waves. The lee side consists of mudflats and gullies. The design for Marker Wadden is inspired on the Wadden Islands. Behind a stable sandy dune landscape we create a soft and muddy landscape. In the plan created ‘dunes’ provide shelter from the waves on the Markermeer. 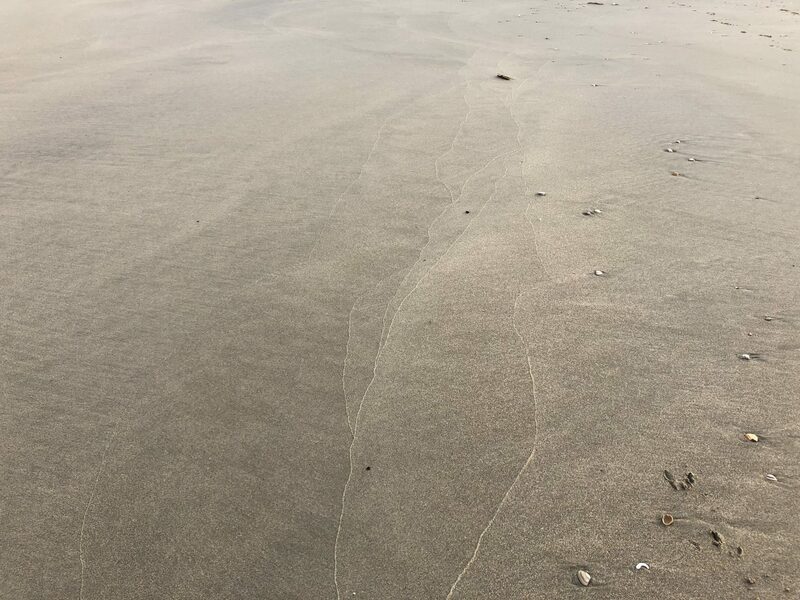 We connect two dune landscapes with a stone dam all along the western side where it will receive most attack from the waves. In this way, we create a sheltered part of the lake where we are able develop islands with wetlands. We associate the term of Marker Wadden with the Wadden Sea, the number 1 of the Dutch nature. On the Wadden Islands, sandy beaches and dunes on the southwestern and northwestern sides protect the land from the waves. The lee side consists of mudflats and gullies. The design for Marker Wadden is inspired on the Wadden Islands. Behind a stable sandy dune landscape we create a soft and muddy landscape. In the plan created ‘dunes’ provide shelter from the waves on the Markermeer. We connect two dune landscapes with a stone dam all along the western side where it will receive most attack from the waves. In this way, we create a sheltered part of the lake where we are able develop islands with wetlands. Marker Wadden Bird Paradise is located in a particular ecosystem: the Markermeer. The Markermeer is currently an unnatural and poor ecosystem. Marker Wadden must improve this. To achieve this it is important the Marker Wadden will become an integral part of the Markermeer. The measures are to realise the dynamic gradients in water depth and transparency, connectivity and better development of land-water transitions. This will increase the diversity of habitats and species. The birdwatching shelter the Steltloper (12 m high), creates an all over bird view on the archipelago. The Steltloper is one of four shelters for watching birds on Marker Wadden. These birdwatching shelters provide visitors different ways and different points of view to observe birds. Beside the Steltloper there are the Lepelaar (3,5 m high): overlooking the creeks and reeds, the Aalscholver (2 m high): eye level perspective on a major creek and sandy plate and the Duikeend (0 m): viewing hut (frog perspective and window showing under water). 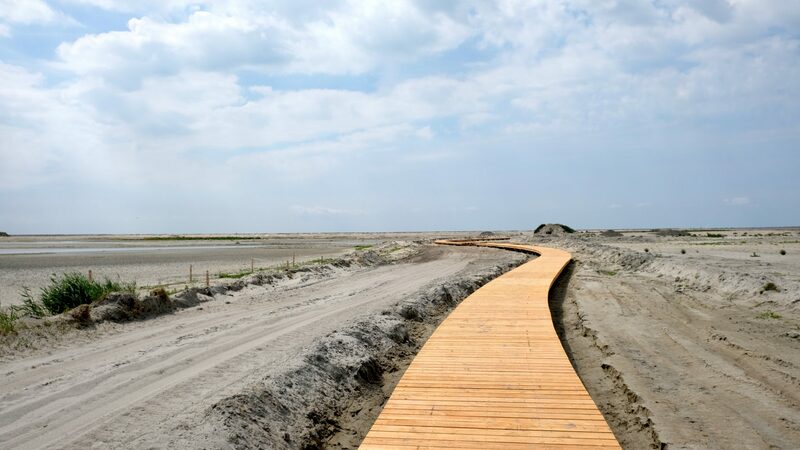 Walking routes and plank bridges provide access to the marshland area, connecting various types of viewing cabins, playful and educational facilities on the way. Also the harbor in the Marker Wadden is developed into a very attractive sailing destination with a little settlement and vistor centre. Marker Wadden can be seen as an international showcase for the hydraulic engineering industry in the Netherlands. 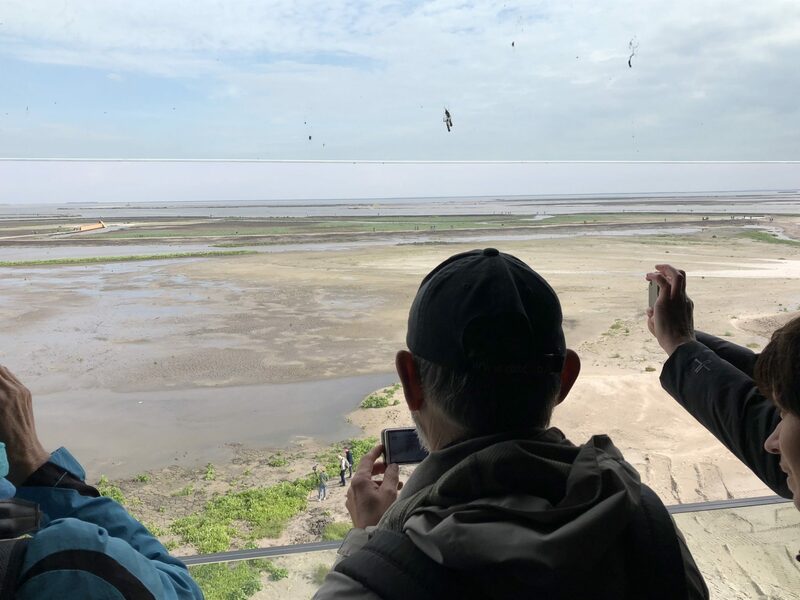 Marker Wadden is a concept that will be of great interest in a time of climate change, especially meaningful for densely populated river deltas. 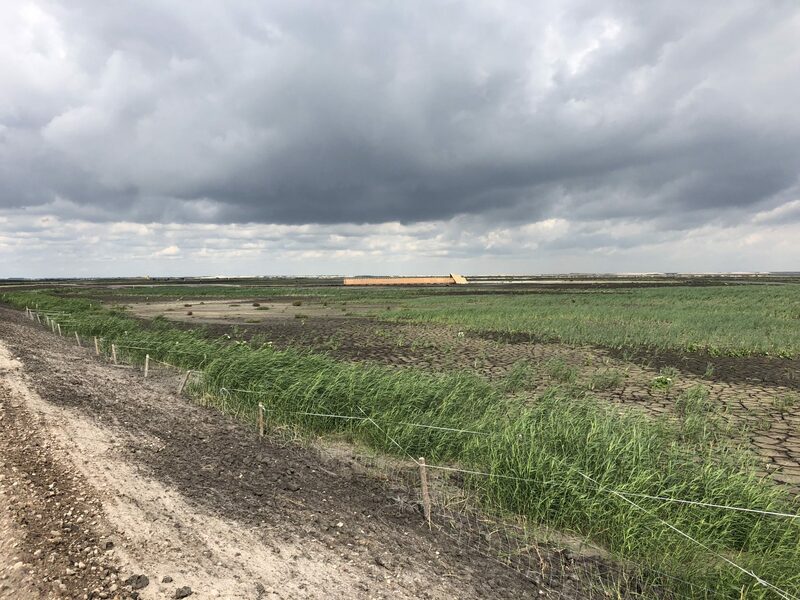 Wetland design and construction can contribute to sustainable water management, improvement of local ecosystems and providing greater resilience of river deltas in storms and floods.